These delicious summertime drinks are made using fresh ingredients and only a touch of sweetness. Go ahead and quench your thirst! Hello everyone! I’m back from Haven Conference and my summer vacation in Georgia and South Carolina. To say I’ve had my share of heat this summer is definitely an understatement. There, it was hot and humid (just ask my hair) and, back home, it’s been very hot and dry. With no rain in sight, keeping our lawn and plants alive has been challenging! While in the South, I had my fair share of iced tea (unsweetened, of course), and it made me wonder why I ever stopped making it at home. In the past, I’d keep a pitcher full in the fridge all season long. It’s those kinds of summertime drinks that help beat the heat when you’re tired of plain old water. Am I right? If you’re in a bit of a mid-summer slump and you’re looking for some delicious new drink ideas, I’ve got you covered. These thirst-quenching recipes are made using fresh ingredients, a touch of sweetness and very little time. Enjoy! Is green iced tea your thing? 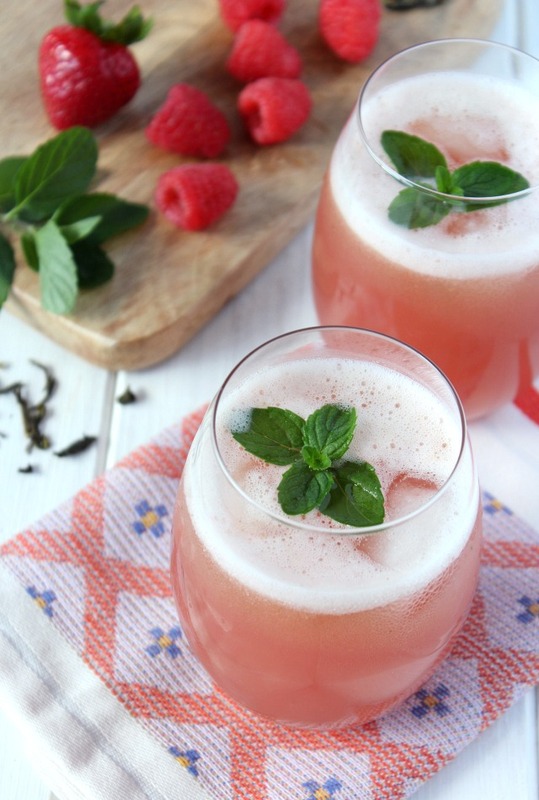 Try this blended berry and mint version that’s packed with fresh strawberries and raspberries. We all know the cooling properties of cucumber, right? 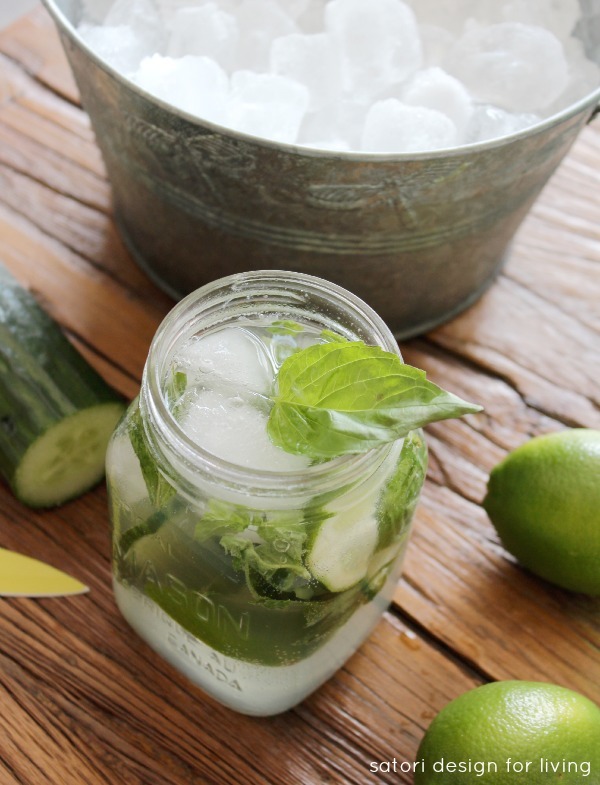 Make this muddled basil and cucumber mojito with or without the rum. Low calorie and so refreshing! Prefer mint over basil? 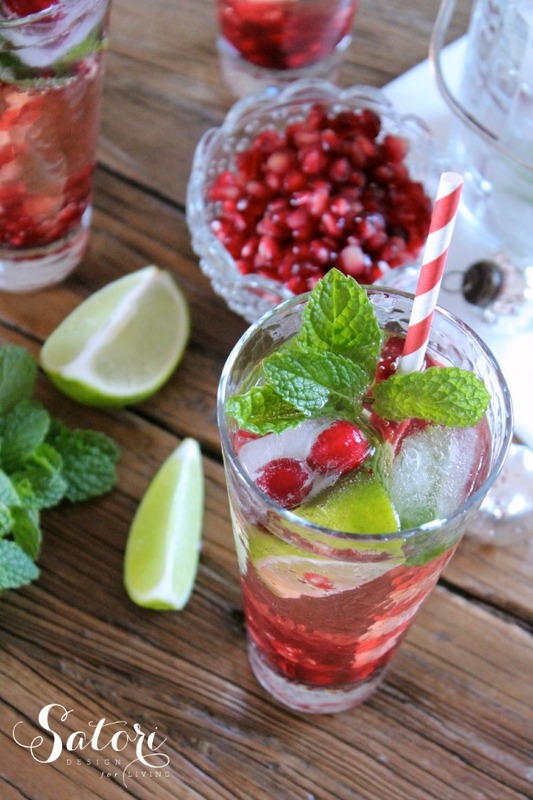 I love this pomegranate mojito that’s super pretty to look at too! Like a drink you can snack on while you sip away? 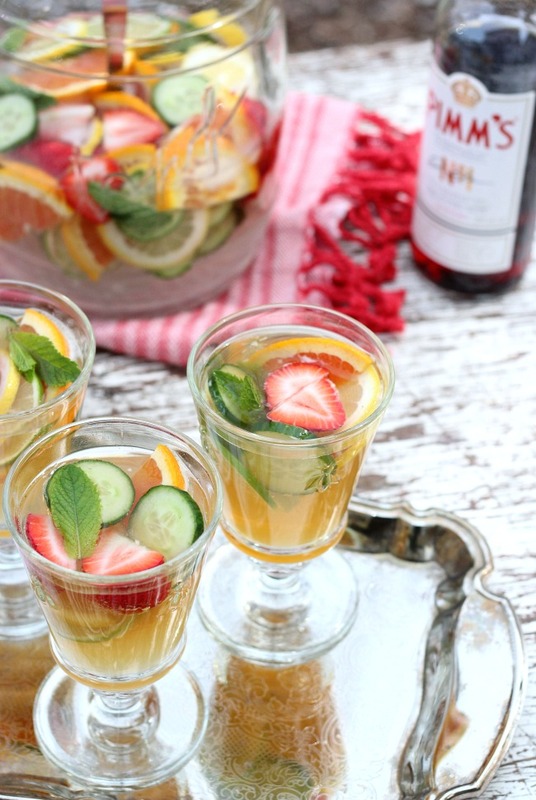 This Pimm’s Cup cocktail seems to be a crowd pleaser. Enjoy the sweet and tangy taste of freshly squeezed citrus juice cut with the subtle earthy flavour of rosemary? 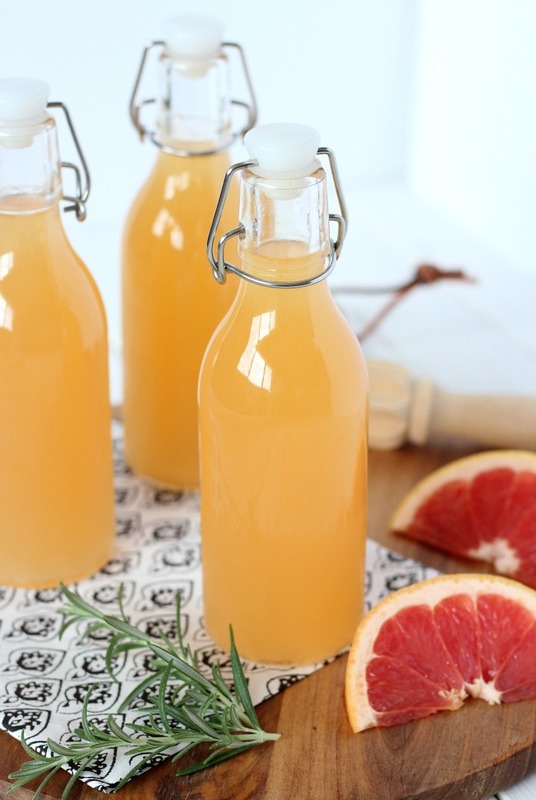 This grapefruit spritzer is perfect for you. Bottle it up for summer picnics or parties. Of course, water is always a great choice, especially when infused with fruit. One of my favourites is orange. You could also try simple cucumber. 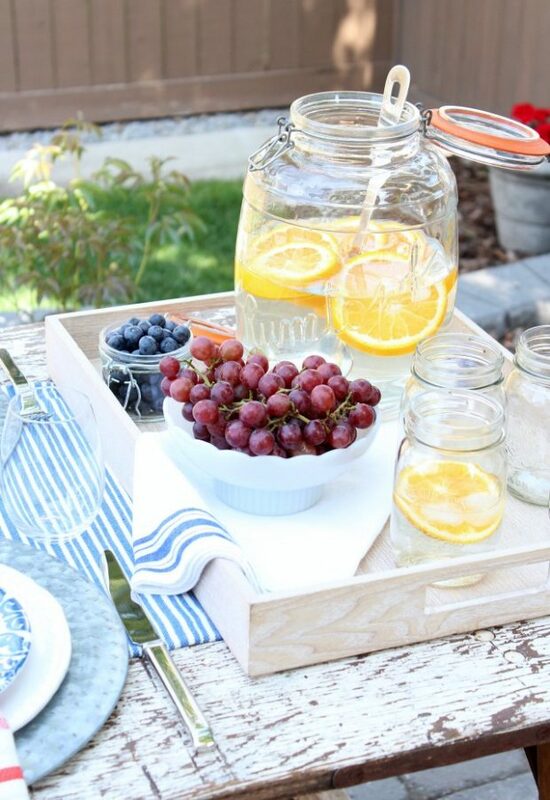 If you’re hosting a summer get-together, slice a whole orange, add to a large jug and top with ice and water. Allow the flavours to infuse in the fridge for at least a couple of hours before serving. Your guests will keep going back for more! Are you looking for something a little more filling? 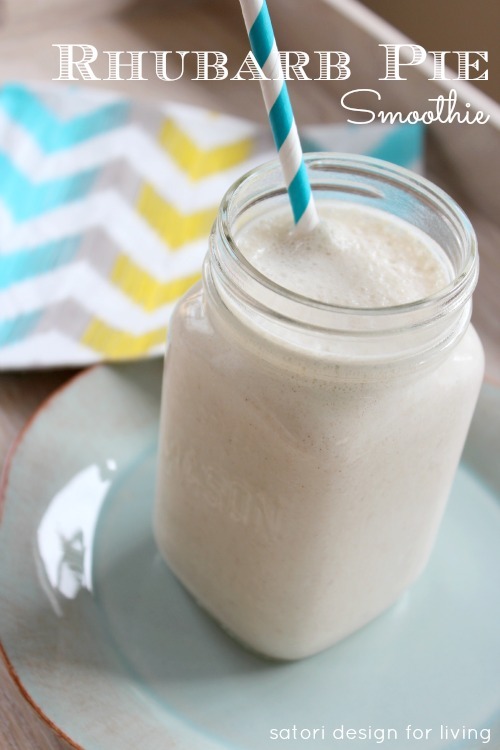 Try this rhubarb pie smoothie for breakfast, dessert or somewhere in between! A delicious looking line-up of summertime drinks, right? So, tell me, which one are you going to try first? Be sure to PIN at least one drink recipe to try later! Keep in mind, all of these summertime drinks can be made with or without alcohol. That way, the whole family can enjoy. Also, try substituting different fruits, herbs or veggies. Needless to say, I’ll be whipping up a jug of something today. Most likely it’ll be the blended green iced tea since raspberries and strawberries are calling my name. As well, the mint in our garden is growing like a weed. Apparently it thrives in the heat. What about you? Just a beautiful collection of delicious – looking drinks and refreshers! and your photos! stunning as usual.